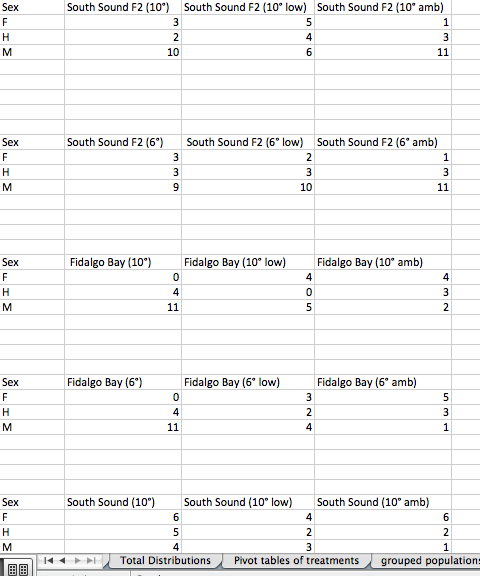 Now that I officially have all the oysters sampled accounted for, staged, and recorded I split up my results by population as suggested by Laura. I went through and reviewed all my oysters I had previously labeled as HPM or HPF and, based on the literature, (Oates) decided if they were developing hermaphroditic oysters or or actually oysters going towards being male or female (sperm or eggs were degrading). That gave me only three categories to work with and much more visible results. She was right! 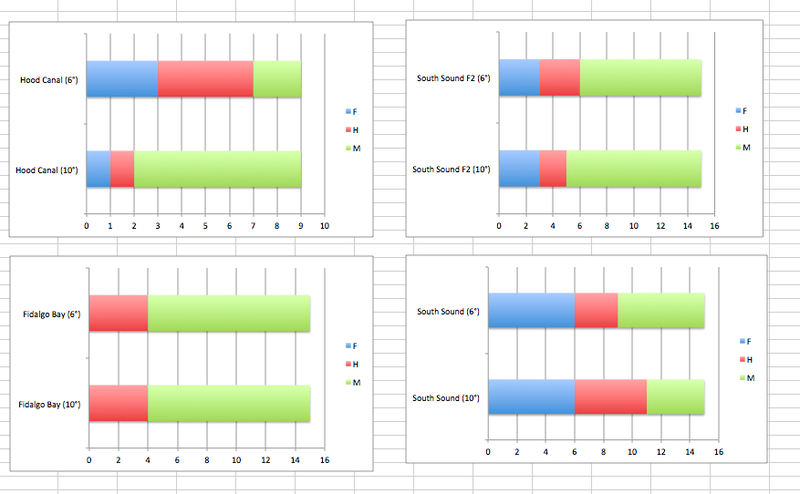 There do seem to be more differences between populations than between treatments overall. It also seems like overwintering temperature has a bigger impact than OA treatment does, but that is just at first glance. I’m not sure how to pull any significant results from my figures at this point….my statistic skills need some brushing up on. Check out these results and see if anything should potentially be combined in different ways. 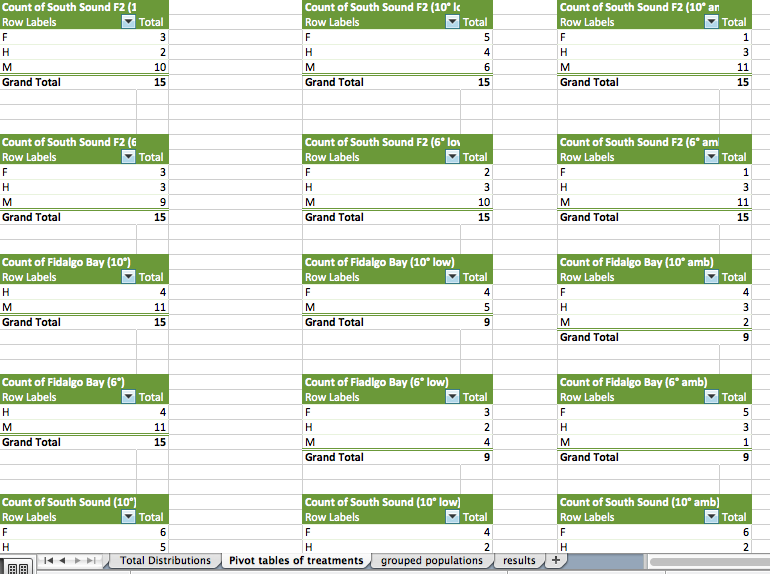 The full updated excel document is posted under Histology staging results. I also started play with OA comparison figures. I could do it in two ways: Compare, for example, both the treatments that were overwintered at 10 degrees but had different OA treatments OR I could compare oysters that had the same OA treatment but were overwintered at different temperatures. For now I am going to work on making a google doc to begin typing up my methods.